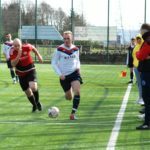 Tarbert travelled to Castlemilk on Saturday March 17 to face an in-form team chasing the league title. Unfortunately for the Islay Frigate Hotel-sponsored side a few players were missing including, their suspended goalkeeper, so it would prove to be a difficult day once again. 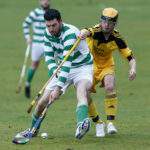 The first half was one of Tarbert’s worst of the season, with a lack of ambition and drive coupled with several individual errors allowing the home side to dominate. 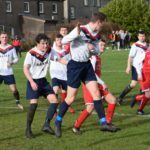 Some poor team defending allowed Castlemilk to storm three goals ahead early on as Tarbert struggled to get any foothold in the match. There were a couple of good moves which led to half chances for Tarbert falling to MacDougall and MacKinnon but neither troubled the home keeper. Castlemilk scored another two goals before the interval and led 5-0 at the break. Some harsh words at half time spurred Tarbert into action and they got their reward early in the second half, as a crude trip in the penalty box allowed the chance for MacKinnon to step up and reduce the deficit. Tarbert were much improved and were a constant threat in the second half but were caught on the break again as Castlemilk restored their half time advantage. 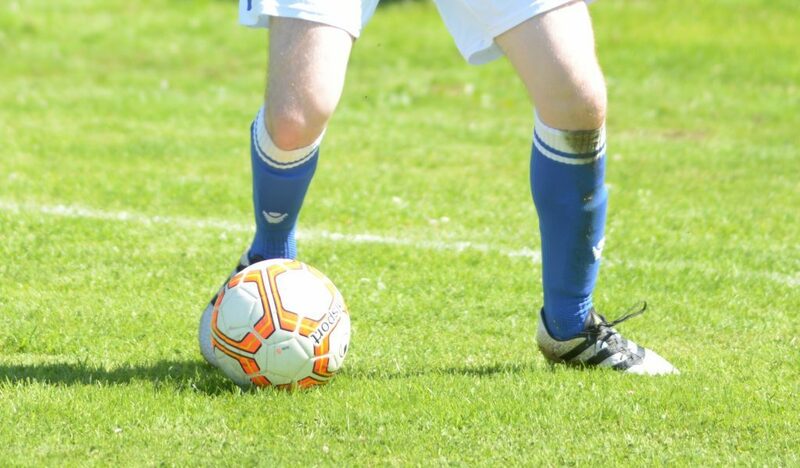 Two further goals arrived late on as Tarbert pressed to try and score themselves, but again individual errors proved costly as the home side ruthlessly took their chances. Overall, a much improved second half showing but Tarbert will chalk this one up as a bad day at the office. On Saturday March 24 Tarbert will be at home to FC Argyle, looking to get back on track and continue their unbeaten home run in the last few games.